Drone assassinations. Expansion of the presidential "hit list" to include American citizens. Reports out of Afghanistan that US troops are executing Afghan prisoners on the battlefield. DoF is concerned that the Obama Administration needs to reign-in the recent and pervasive enthusiasm for exterminating terror suspects. The reason DoF is troubled by some of this news is that a dead terror suspect is not a particularly scary terror suspect. During the Vice President Cheney years, American government officials shared a basic understanding: the Geneva Conventions might have to be overlooked, but the desirability of keeping terror suspects alive was widely understood (even if not followed in every case). Although terror suspects are expensive to detain, the Vice President taught us that they can be put to very good use. In terms of making the most of captive terror suspects, it was understood a terror suspect must be appropriately dressed to fit the role. "The clothes make the man," as they say. At DoF we like to say that the right clothes make you fear the man. One crisis facing the Obama Administration is that after eight or nine years of war, most of the military's finest designers have been relieved of duty. The best ones came out of the closet long ago. The so-called "Don't ask don't tell" policy has led to a situation in which there are simply no outstanding designers of terror suspect attire remaining in the US military. 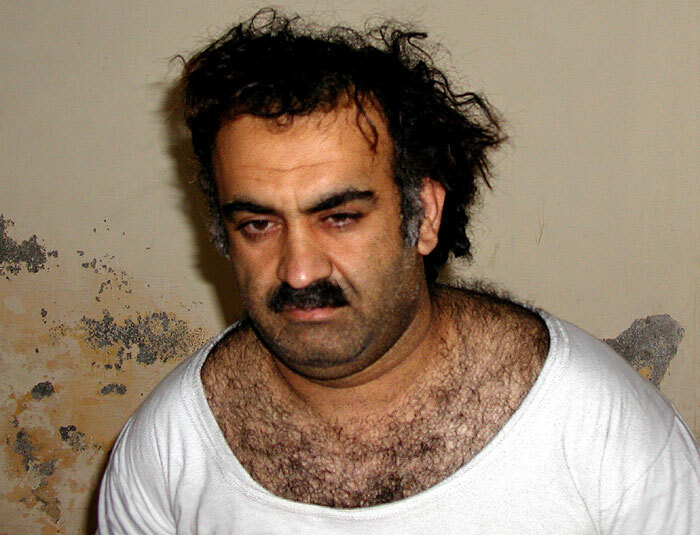 Here's a little-known fact for you: the lack of a talented clothing designer has been the main hold-up in getting the scheduled trial of the notorious Khalid Sheikh Mohammed underway in Manhattan. Obviously, the government can't go parading the 9/11 mastermind around New York City until someone has figured out how KSM ought to be dressed. The government does not want its most famous captive terrorist to look like some kind of common criminal or thug (i.e. photo above). If he is to scare anyone, he must look the part. The situation is so desperate -- with respect to the lack of a suitable clothing designer -- that there is now talk of holding the the trial in rural Virginia. Of course, the answer is twofold. The president needs to 1) scrap the "don't ask, don't tell" regulation that is preventing some of America's finest clothing designers from serving their country; 2) see that more terror suspects are captured and detained rather than killed. 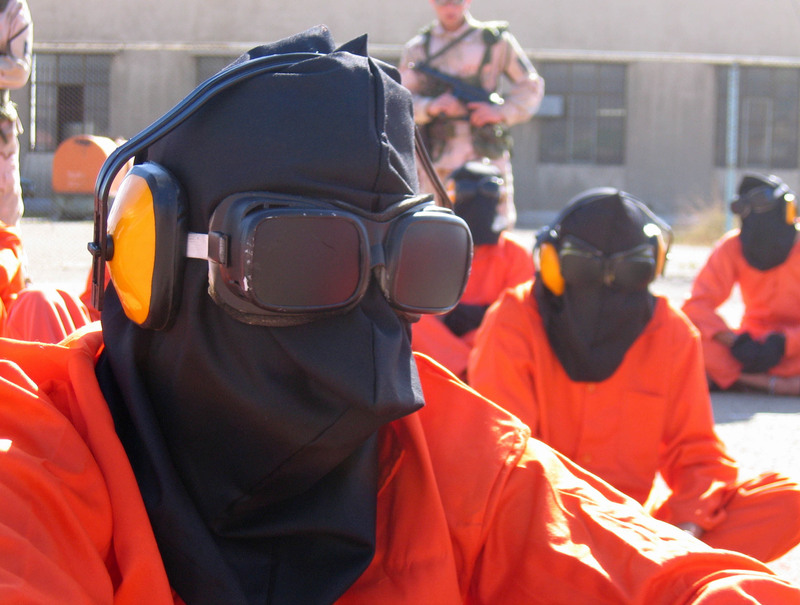 DoF has included some archival photos of terror suspects "dressed to scare" from the Cheney years.